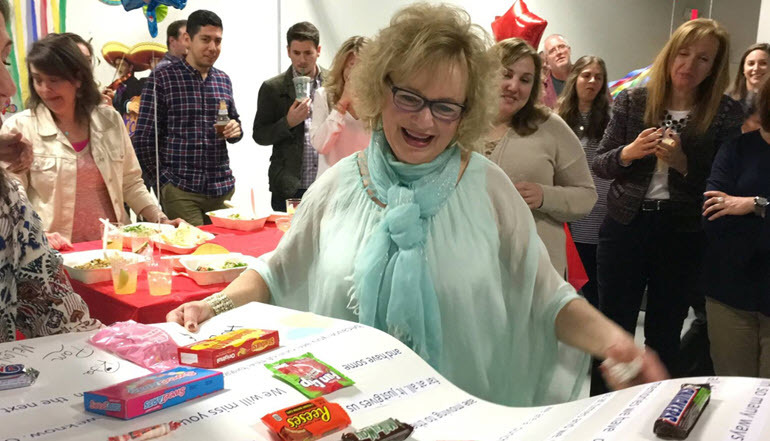 Austin & Williams threw a very special Cuatro De Mayo celebration yesterday — special because it was actually a surprise retirement party for our long time Director of First Impressions, Kathy Spilker. The margaritas flowed as speeches were made, stories were recollected and tears were shed. Eva, Rick, and the rest of the crew gave her the rousing send-off she deserved, as we say “See you later” to Kathy (but never adios). Special thanks go out to the folks at #SabrosaMexicanGrill for providing a tasty (and surprisingly healthy) burrito buffet.